We are restocking items for the box - it will be back soon! Finally...a box for YOUR rad dad (aka, your baby's granddad)! 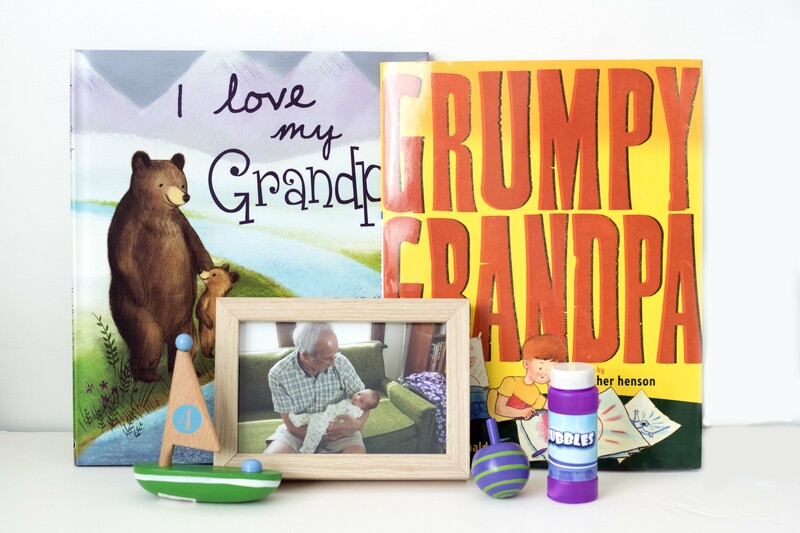 The Rad Granddad box contains lots of fun products that will help Granddad and baby bond, including two Grandpa-themed books, old-fashioned toys evoking his own childhood (a wooden sailboat and spinning top from Jack Rabbit Creations), a photo frame so he can proudly display pictures of his grandchild(ren), and a bottle of bubbles for fun, interactive play!